Unbelievable location, directly on the beach. Free standing condo cottage, one of seven known as Moody Sands Villas. Our cottage has a brand new interior with full kitchen, corian counters in the color 'beach glass', sliding glass door overlooking the sand and surf. Enjoy a little luxury at the beach. Murphy wall bed with premium mattress, 600 thread count sheets, cozy blankets and cotton spreads. Lay in bed at night and listen to the waves crashing right outisde the door. This is the closest thing to having a bed on the beach! Full bath with rainfall shower head and luxurious towels. All linens included, even beach towels. Moody beach is a private beach for homeowners only. It has beautiful powder like sand and is shallow, just wonderful for children. Two outdoor showers are part of the association. 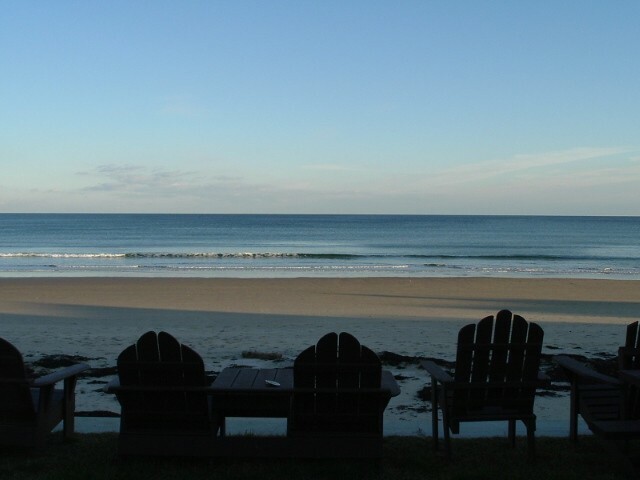 We are located close to Ogunquit beach and the Marginal way. 2 Beach chairs and boogie boards provided.